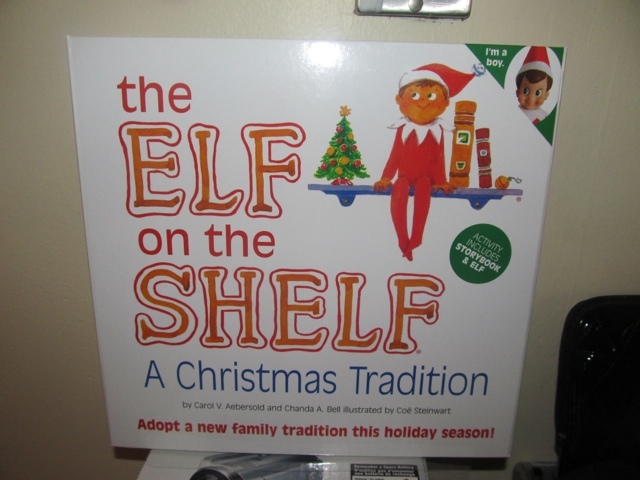 I first learned about the Elf on the Shelf last winter and I thought it sounded so fun! I tried to find one after Christmas on clearance, but no luck. No fear though - I snagged one on Black Friday this year (and got a $5 gift card for buying it - score!). The elf is basically used to bribe kids to be good so Santa will come. 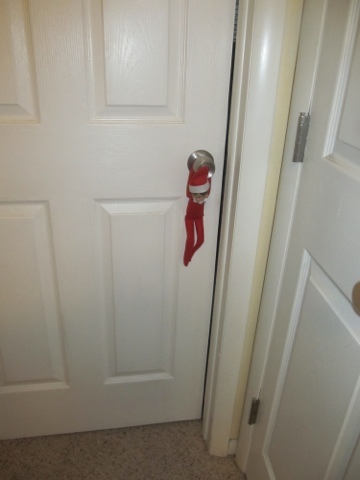 Santa sends his little elf to spy on kids and report back with their behavior. 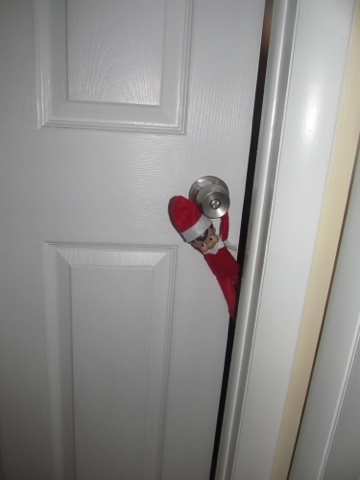 You name the elf and can even register it online. We decided that our elf will go by "Elf" (yes - our creativity is mind blowing) this year. We'll let Redmond give him his official name next year because, let's face it, a toddler is going to come up with a much cooler name than a couple of thirty-something's would. Elf made his debut yesterday. Redmond spent the night at his grandparents house Friday, so we wanted Elf to be ready for him when he got home in the morning. So, we decided to hang him on Redmond's bedroom doorknob. Nothing says "welcome home!" more than a creepy looking doll hanging from your bedroom door!